James Magni’s new volume, Magni Modernism, celebrating his 25 years of design, is a testament not only to the longevity and relevance of modern design but to Magni’s particular refined and soulful version. The power of glamorous simplicity, elegant open spaces and harmonious connectivity mark the fourteen projects that fill the volume. Trained as an architect, Magni found his true calling in interiors, offering him the opportunity to find soulful connections between all elements of a residence – architecture, furniture, art and landscape. His interest resides in the holistic entity of design, creating thoughtful environments that enhance their owners’ lives. 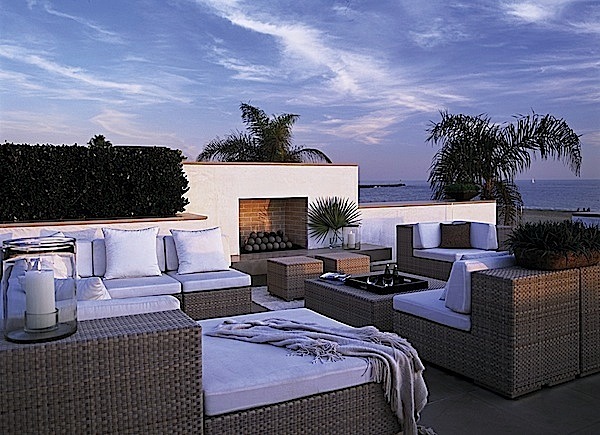 Through intensive attention to detail and craft, Magni’s homes are luxurious yet focussed on the human element. Efficient organization is paramount yet equal to the art of the handmade. Magni’s rooms exhibit an incredibly philosophical sense of balance between form and function. In the entry above, the gorgeous sculptural staircase climbs effortlessly with an ethereal elegance, echoed by Donald Judd’s copper wall sculpture. And the geometry of Magni’s own custom checkerboard carpet then links the Judd to Francisco Castro Lenero’s colorful painting. Even the legs of Mies’ classic Barcelona stool reflect on the helix of the stairs. A pure yet incredibly thoughtful design. 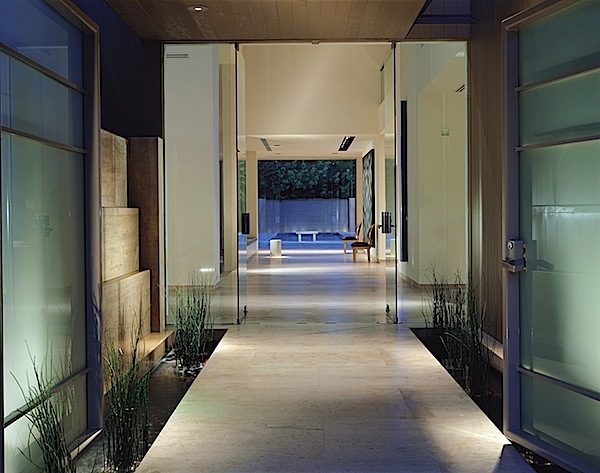 A seminal work for Magni was this Beverly Hills house commissioned in 1994. It was through this project that Magni developed his style of Global modernism or as he refers to it, a “philosophy of inclusivism.” Mixing precious antiques with contemporary pieces as well as designs from his own collection, Magni produced a modernism of sophisticated elegance and balance. In front of the fireplace, a Mies van der Rohe daybed and Barcelona chairs, 18th century bergères, a Magni Home Collection Glass House coffee table and Bryan Hunt sculpture create a compatible seating area of mixed cultural and historical significance. In an Orange County house designed with architect Ed Lohrbach, Magni’s debt to Le Corbusier and pre-war French modernism can be seen. Yet inside, bold forms seek a sleek contemporary glamour filled with a carefully curated art collection. As with all of Magni’s work, contrast is key. 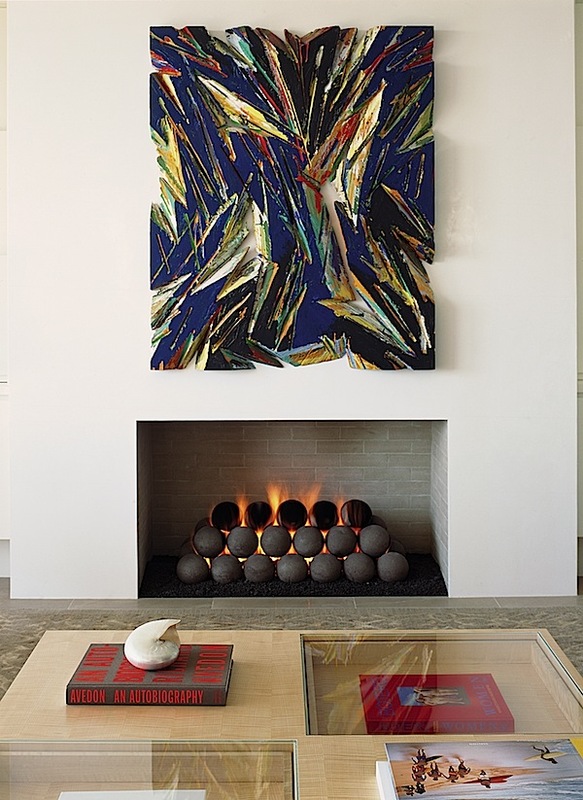 Here a rough Chuck Arnold piece (executed with a chainsaw) hangs over the pure geometry of fireplace and FireBalls. In front sits Magni’s chic Guggenheim coffee table, a perfect expression of form and function. The bedroom shows the luxurious side of Magni’s modernism amid a mix of classic and contemporary furnishings in a fresh and fashionable color palette. And the piece de resistance – the spectacular view from the rooftop, where chic modernism meets well considered creature comforts. Each project in the book expands on Magni’s modernist and informed spaces. 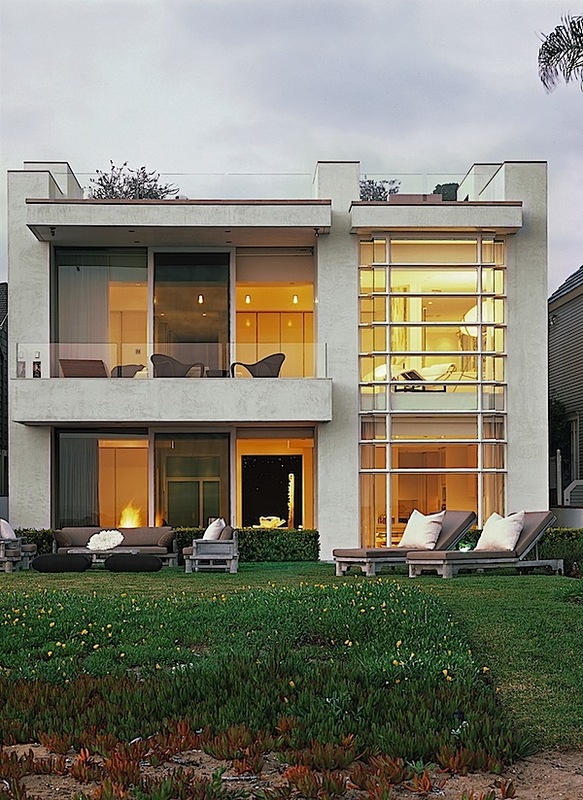 From Mexico City to Moscow, his houses are client specific yet embrace his overwhelming purity of quality and craft. From simple bold gestures to the most intricate details, Magni creates spaces that are simple yet soulful, minimal yet opulent and always original. This entry posted in architecture, art, books, design, interior design. Entry Tags: Design Books, interior design, Modern design Bookmark the permalink. I love the living room area! Beautiful! Magnificent, all Q. Thank you for sharing. I was unaware of Magni’s beautiful designs. I cant wait to work them into my Polyvore creations. marvelous. so streamlined. so chic. so easy to love. Great article. 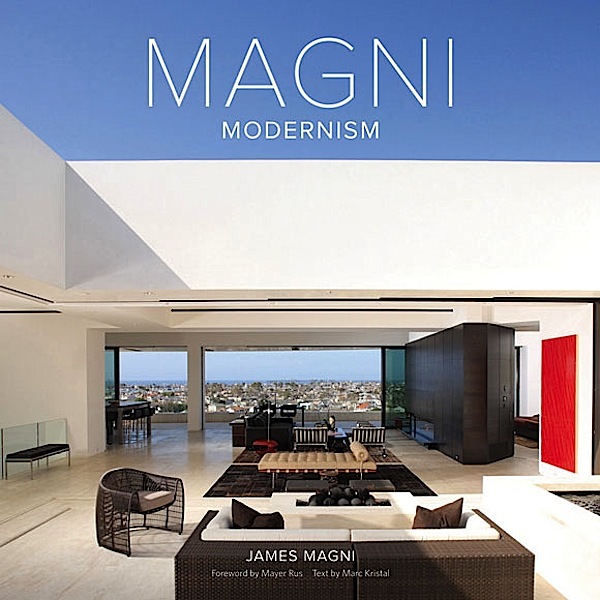 For those interested in the book, be sure to check it out on <a href="http://www.amazon.com/Magni-Modernism-James/dp/1419706713"Amazon. 79 queries in 0.492 seconds.